In a previous post I showed how to construct a PMMH pMCMC algorithm for parameter estimation with partially observed Markov processes. The inner loop of a pMCMC algorithm consists of running a particle filter to construct an unbiased estimate of marginal likelihood. This inner loop is the place where the code spends almost all of its time, and so speeding up the particle filter will result in dramatic speedup of the pMCMC algorithm. This is fortunate, since as previously discussed, MCMC algorithms are difficult to parallelise other than on a per iteration basis. 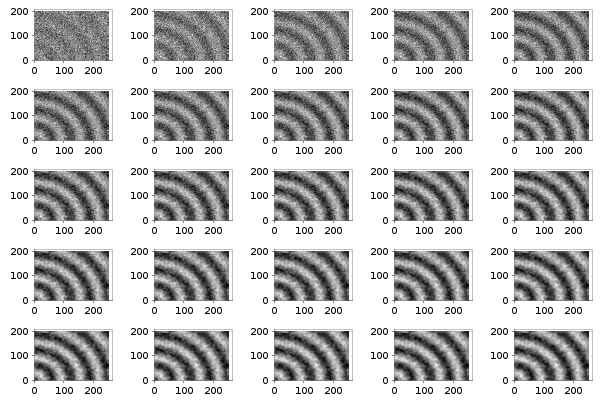 Here, each iteration can be speeded up if we can effectively parallelise a particle filter. Particle filters are much easier to parallelise than MCMC algorithms, and so it is tempting to try and exploit this within R. In fact, although it is the case that it is possible to effectively parallelise particle filters in efficient languages using low-level parallelisation tools (say, using C with MPI, or Java concurrency tools), it is not so easy to speed up R-based particle filters using R’s high-level parallelisation constructs, as we shall see. This call applies the forward simulation algorithm stepFun to each row of the matrix xmat independently. Since there are no dependencies between the function calls, this is in principle very straightforward to parallelise on multicore hardware. I’m writing this post on a laptop with an Intel i7 quad core chip, running the 64 bit version of Ubuntu 11.10. R has support for multicore processing on this platform – it is just a simple matter of installing the relevant packages. However, things are changing rapidly regarding multicore support in R right now, so YMMV. Ubuntu 11.10 has R 2.13 by default, but the multicore support is slightly different in the recently released R 2.14. I’m still using R 2.13. I may update this post (or comment) when I move to R 2.14. The main difference is that the package multicore has been replaced by the package parallel. There are a few other minor changes, but it should be easy to adapt what is presented here to 2.14. There is a new O’Reilly book called Parallel R. I’ve got a copy of it. It does cover the new parallel package in R 2.14, as well as other parallel R topics, but the book is a bit light weight, to say the least, and I reviewed it on this blog. Please read my review for further details before you buy it. Each iteration of the foreach loop is executed independently (possibly using multiple cores), and the result of each iteration is returned as a list, and captured in res. This list of return vectors is then coerced back into a matrix with the final line. This code is much neater, and in principle ought to be a bit faster, though I haven’t noticed much difference in practice. This is actually a much cleaner solution than the method using foreach, but it does require grokking a bit more R. Note that mclapply uses a different method to specify the number of threads to use than foreach/doMC. Here you can either use the named argument to mclapply, mc.cores, or use options(), eg. options(cores=4). As well as being much cleaner, I find that the mclapply approach is much faster than the foreach/dopar approach for this problem. I’m guessing that this is because foreach doesn’t pre-schedule tasks by default, whereas mclapply does, but I haven’t had a chance to dig into this in detail yet. This can be used in place of the version supplied with the smfsb package for slow simulation algorithms running on modern multicore machines. There is an issue regarding Monte Carlo simulations such as this and the multicore package (whether you use mclapply or foreach/dopar) in that it adopts a “different seeds” approach to parallel random number generation, rather than a true parallel random number generator. This probably isn’t worth worrying too much about now, since it is fixed in the new parallel package in R 2.14, but is something to be aware of. I discuss parallel random number generation issues in Wilkinson (2005). The above code is now a parallel particle filter, and can now be used in place of the serial version that is part of the smfsb package. However, if you try it out on a simple example, you will most likely be disappointed. In particular, if you use it for the pMCMC example discussed in the previous post, you will see that the parallel version of the example actually runs much slower than the serial version (at least, it does for me). However, that is because the forward simulator stepFun, used in that example, was actually a very fast simulation algorithm, stepLVc, written in C. In this case, the overhead of setting up and closing down the threads, and distributing the tasks, and collating the results from the worker threads back in the master thread, etc., outweighs the advantage of running the individual tasks in parallel. This is why parallel programming is difficult. What is needed here is for the individual tasks to be sufficiently computationally intensive that the overheads associated with parallelisation are easily outweighed by the ability to run the tasks in parallel. In the context of particle filtering, this is particularly problematic, as if the forward simulator is very slow, running a reasonable particle filter is going to be very, very slow, and then you probably don’t want to be working in R anyway… Parallelising a particle filter written in C using MPI is much more likely to be successful, as it offers much more fine grained control of exactly how the tasks and processes are managed, but at the cost of increased development time. In a previous post I gave an introduction to parallel Monte Carlo with C and MPI, and I’ve written more extensively about parallel MCMC in Wilkinson (2005). It also looks as though the new parallel package in R 2.14 offers more control of parallelisation, so that also might help. However, if you are using a particle filter as part of a pMCMC algorithm, there is another strategy you can use at a higher level of granularity which might be useful even within R in some situations. which is a bit cleaner and more readable. Using this approach to parallelisation, there is now a much better chance of getting some speedup on multicore architectures, as the granularity of the tasks being parallelised is now much larger. Consider the example from the previous post, where at each iteration we ran a particle filter with 100 particles. If we now re-run that example, but instead use 4 particle filters each using 25 particles, we do get a slight speedup. However, on my laptop, the speedup is only around a factor of 1.6 using 4 cores, and as already discussed, 4 filters each with 25 particles isn’t actually quite as good as a single filter with 100 particles anyway. So, the benefits are rather modest here, but will be much better with less trivial examples (slower simulators). For completeness, a complete runnable demo script is included after the references. 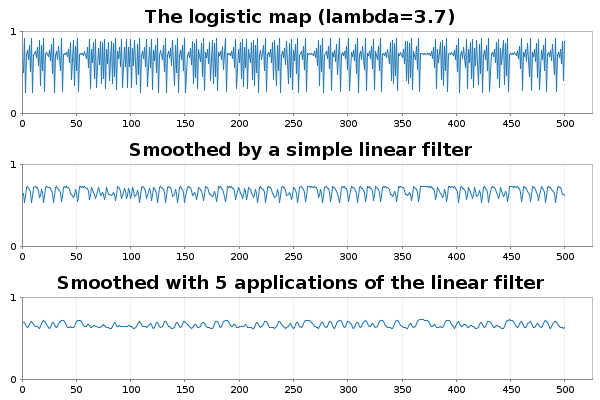 Also, it is probably worth emphasising that if your pMCMC algorithm has a short burn-in period, you may well get much better overall speed-ups by just running parallel MCMC chains. Depressing, perhaps, but true. McCallum, E., Weston, S. (2011) Parallel R, O’Reilly. Wilkinson, D. J. (2011) Stochastic Modelling for Systems Biology, second edition, Boca Raton, Florida: Chapman & Hall/CRC Press. In the previous post I gave a quick introduction to the CRAN R package smfsb, and how it can be used for simulation of Markov processes determined by stochastic kinetic networks. 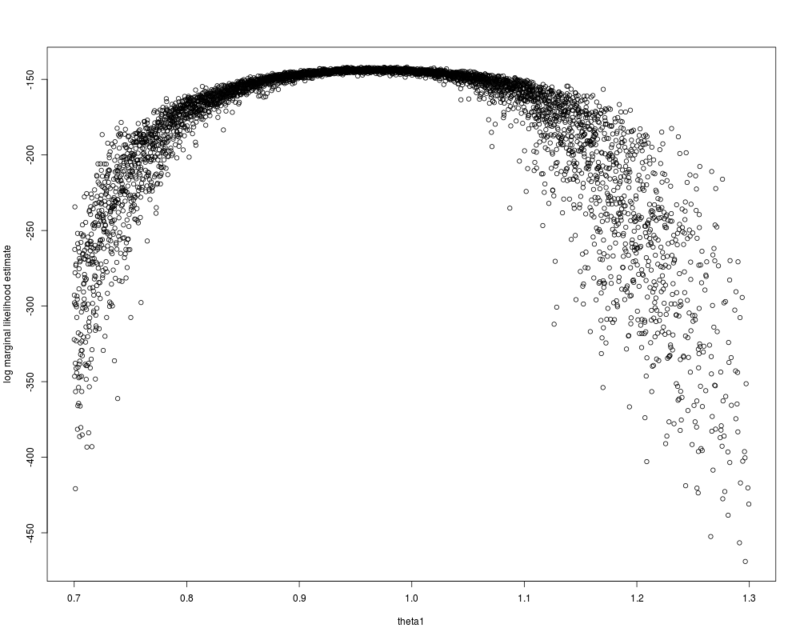 In this post I’ll show how to use data and particle MCMC techniques in order to carry out Bayesian inference for the parameters of partially observed Markov processes. 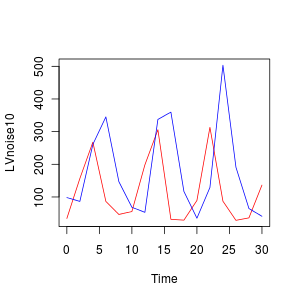 We need to set up the prior and the data likelihood correctly before we can use this function, but first note that the function does not actually run a particle filter at all, but instead stores everything it needs to know to run the particle filter in the local environment, and then returns a function closure for evaluating the marginal likelihood at a given set of parameters. The resulting function (closure) can then be used to run a particle filter for a given set of parameters, simply by passing the required parameters into the function. This functional programming style is consistent with that used throughout the smfsb R package, and leads to quite simple, modular code. To use pfMLLik, we first need to define a function which evaluates the log-likelihood of an observation conditional on the true state, and another which samples from the prior distribution of the initial state of the system. Here, we can do that as follows. Now the function (closure) mLLik will, for a given parameter vector, run a particle filter (using 100 particles) and return the log of the particle filter’s unbiased estimate of the marginal likelihood of the data. It is then very easy to use this function to create a simple PMMH algorithm for parameter inference. Below is an algorithm based on flat priors and a simple Metropolis-Hastings update for the parameters using the function closure mLLik, defined above. So, although we should really run the chain for a bit longer, we see that we can learn a great deal about the parameters of the process from very little data. For completeness, a full runnable demo script is included below the references. Of course there are many obvious extensions of this basic problem, such as partial observation (eg. only observing the prey) and unknown measurement error. These are discussed in Wilkinson (2011), and code for these cases is included within the demo(PMCMC), which should be inspected for further details. At this point it is probably worth emphasising that there are other “likelihood free” approaches which can be taken to parameter inference for partially observed Markov process (POMP) models. Many of these are implemented in the pomp R package, also available from CRAN, by King et al (2008). The pomp package is well documented, and has a couple of good tutorial vignettes which should be sufficient to get people started. The API of the package is rather cumbersome, but the algorithms appear to be quite robust. Approximate Bayesian computation (ABC) approaches are also quite natural for POMP models (see, for example, Toni et al (2009)). This is because “exact” likelihood free procedures break down in the case of low/no measurement error or high-dimensional observations. There are some R packages for ABC, but I am not sufficiently familiar with them to be able to give recommendations. If one is able to move away from the “likelihood free” paradigm, it is possible to develop “exact” pMCMC algorithms which do not break down in challenging observation scenarios. The problem here is the intractability of the Markov transition kernel. In the case of nonlinear Markov jump processes, finding very generic solutions seems quite difficult, but for diffusion (approximation) processes based on stochastic differential equations, it seems to be possible to develop irreducible pMCMC algorithms which have very broad applicability – see Golightly and Wilkinson (2011) for further details of how such techniques can be used in the context of stochastic kinetic models similar to those considered in this post. Golightly, A., Wilkinson, D. J. (2011) Bayesian parameter inference for stochastic biochemical network models using particle MCMC, Interface Focus, 1(6):807-820. King, A.A., Ionides, E.L., & Breto, C.M. (2008) pomp: Statistical inference for partially observed Markov processes, CRAN. Toni, T., Welch, D., Strelkowa, N., Ipsen, A. 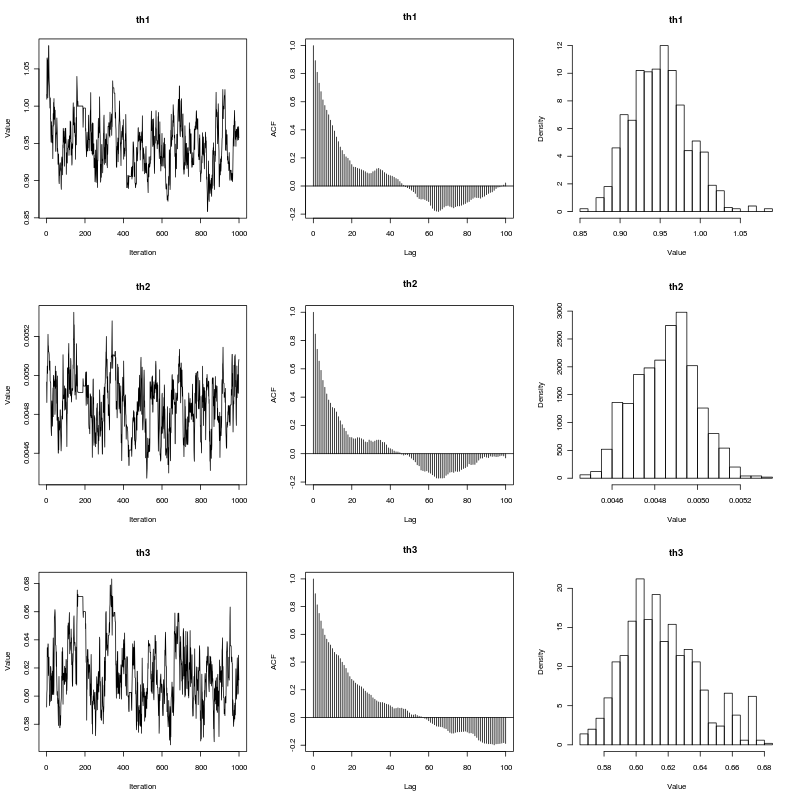 & Stumpf, M. (2009) Approximate Bayesian computation scheme for parameter inference and model selection in dynamical systems, J. R. Soc. Interface 6(31): 187-202.